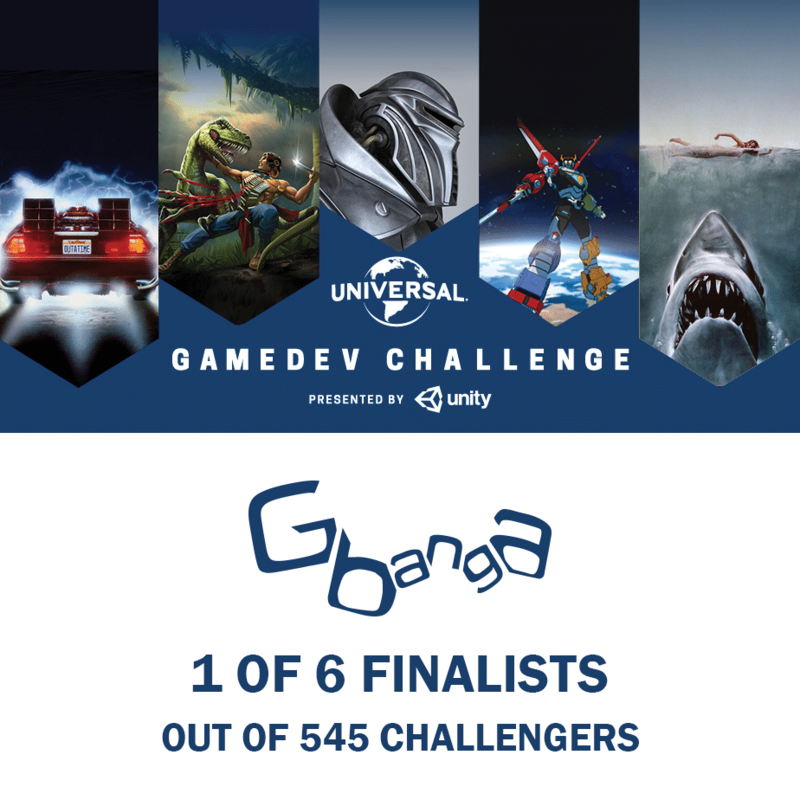 The whole team of Gbanga is proud to announce that they are one of six finalists of the Universal Gamedev Challenge. A whopping 545 game developers from all over the world applied to create a pitch for PC game for an iconic Universal world with Unity. Gbanga joins a group of 6 competitive finalists, and we are looking forward to have a fair, but challenging final over the next couple of months. More details can be found on Unity Connect.